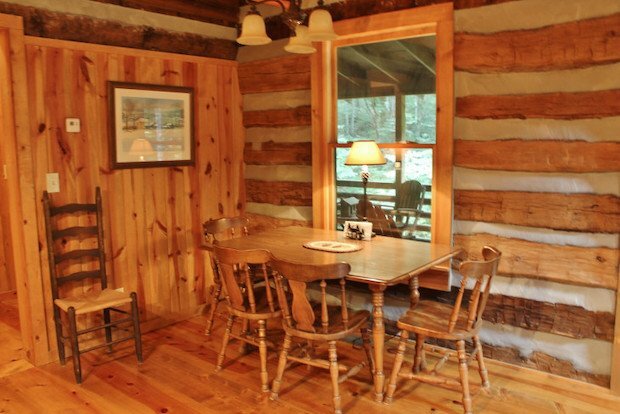 Live closer to nature in this lovely log cabin home. Herein Stonebridge, North Carolina you can hear nothing but the sounds of nature all around. 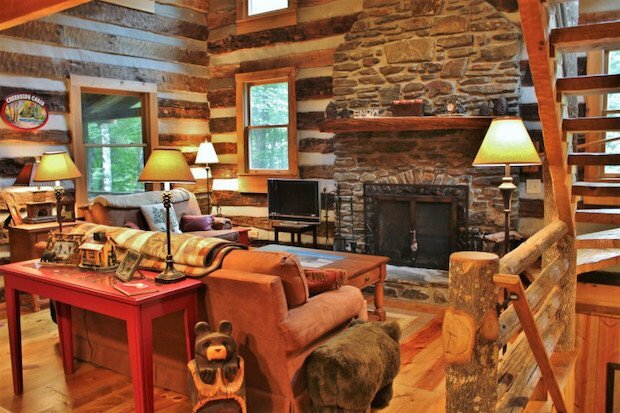 Here you can truly experience the full potential of log home living. 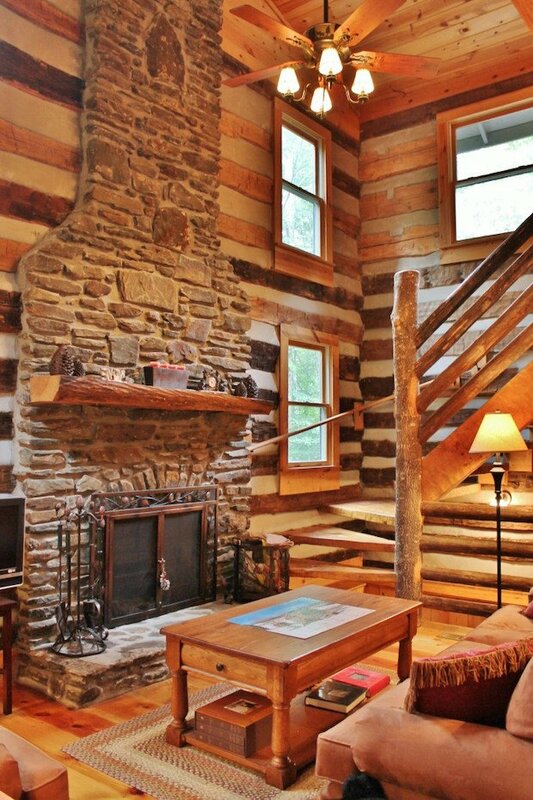 Inside the home, you have a marvelous floor-to-ceiling fireplace handcrafted out of native stone. The home has an open floor plan and vaulted ceilings for maximum spaciousness. Strategically placed windows allow natural light to fill the open spaces. 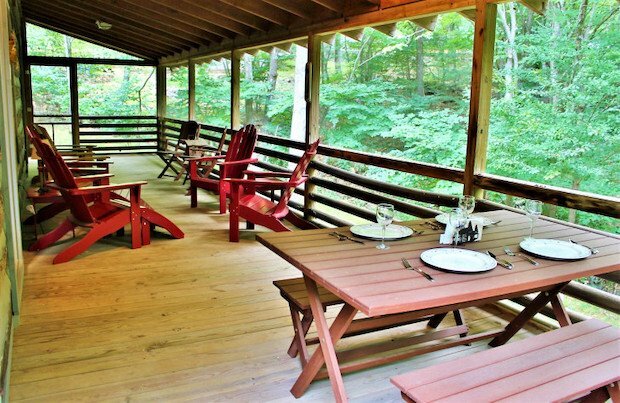 If you’re expecting guests, there’s a generously-sized screened porch where you can entertain them. 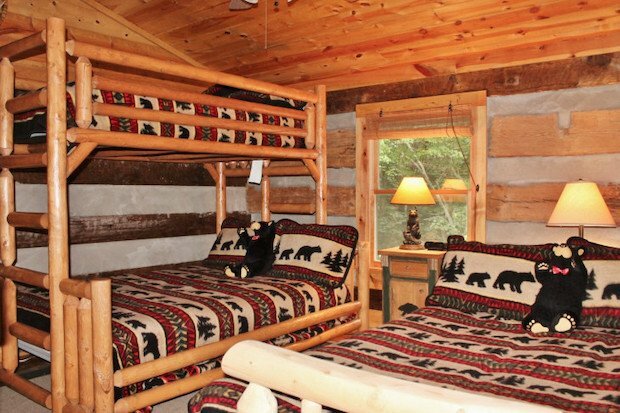 There’s a lower level room that can be used as an extra bedroom or a game room. 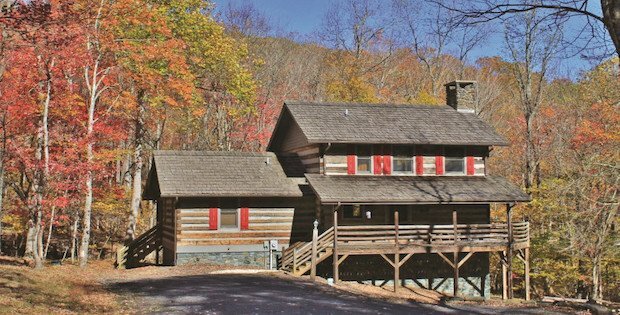 The property measures 1.24 acres and is for sale at $309,900. The master bedroom with two separate closets and private adjacent bath is conveniently located on the main level. 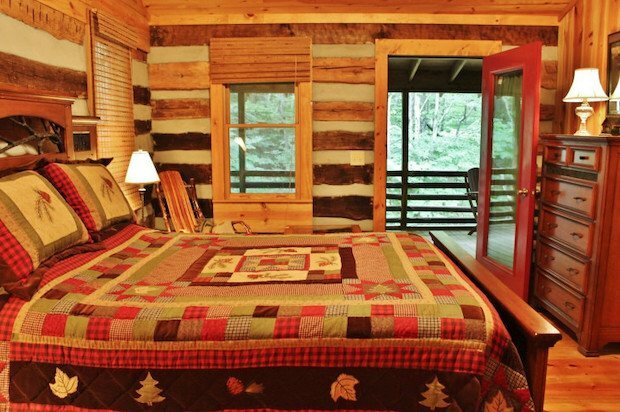 The Master also has access to the porch so that you can sleep comfortably listening to the sounds of the creek just steps away. On the upper level, the loft has been enclosed to allow privacy for guest sleeping space. There is also a full bath on this level. 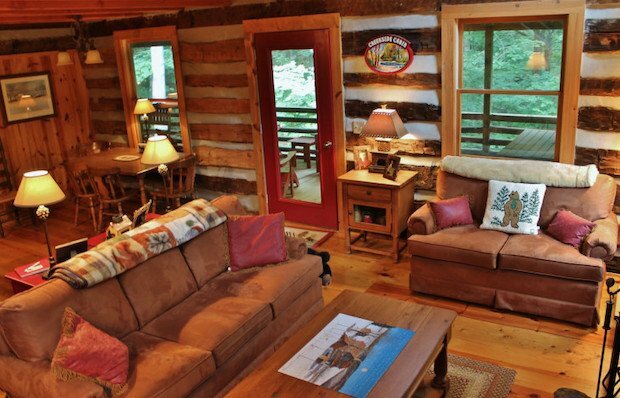 The full finished walk-out lower level has a family room ideal for watching TV or reading a favorite book.